Ever had to ask someone for directions and they ask, "OK, where are you coming from?" Helpful? Yes. Unless there's a traffic jam or something else that veers you off course. Thank goodness for the GPS! Similarly app delivery involves a variety of logistics that change along the way and demand recalculating. 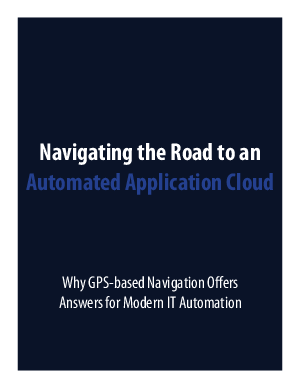 Read the white paper to learn how to use an App GPS to give you the quickest, easiest way to your desired destination.